The procedure codes in the general anatomical regions body systems should only be used when the procedure is performed on an anatomical region rather than a specific body part (e.g., root operations Control and Detachment, Drainage of a body cavity) or on the rare occasion when no information is available to support assignment of a code to a specific body part. Example: Control of postoperative hemorrhage is coded to the root operation Control found in the general anatomical regions body systems. Where the general body part values “upper” and “lower” are provided as an option: Upper Arteries, Lower Arteries, Upper Veins, Lower Veins, Muscles and Tendons body systems, “upper” or “lower “specifies body parts located above or below the diaphragm respectively. Example: Vein body parts above the diaphragm are found in the Upper Veins body system; vein body parts below the diaphragm are found in the Lower Veins body system. Multiple Procedures Guideline B3.2b refers to distinct body parts, not different locations within the same body part. Multiple procedures with the same root operation performed on the same body part, are not coded separately unless they are distinct body parts within the same body part value. Okay, now that we have taken care of some of the basics, let’s take a look at one of the more common or routinely performed surgeries, the Cholecystectomy. Strong understanding of anatomy is key for coding of this procedure. Is stenting occurring in the common bile duct or the hepatic duct? These terms are not synonymous. Is stenting occurring in the trunk of the hepatic duct or the right vs left hepatic duct? Where IS the hepatic duct? The biliary system consists of the organs and ducts (bile ducts, gallbladder, and associated structures) that are involved in the production and transportation of bile. When the liver cells secrete bile, it is collected by a system of ducts that flow from the liver through the right and left hepatic ducts. These ducts ultimately drain into the common hepatic duct . The common hepatic duct then joins with the cystic duct from the gallbladder to form the common bile duct, which runs from the liver to the duodenum (the first section of the small intestine). That takes care of the anatomy. We are probably confident with the ‘open’ vs the ‘percutaneous endoscopic (laparoscopic’ approach, but what about the hand assisted laparoscopic approach? In hand-assisted laparoscopic (HAL) surgery, the Provider makes small incisions for insertion of scopes and instruments, and an extra incision for his hand to assist with the surgery. Per Coding Clinic 3rd Qtr. 2014, this would be considered an ‘open’ approach. I would like to talk a little about the PE tube replacement now. Really common right? 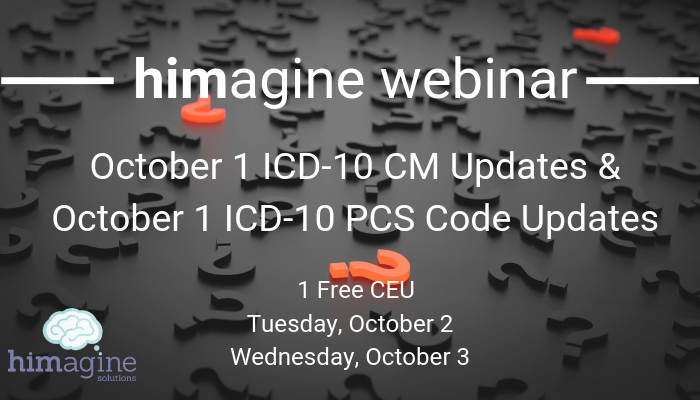 Code it with your eyes closed and one hand behind you back in ICD-9, but in ICD-10, you need pay careful attention to the root operations being performed in these ‘simple’ procedures that we have been coding for years. Following the removal of cerumen, the tympanostomy tube was found within the ear canal with cerumen around it. Once this was removed, an incision was made in the anterior inferior quadrants in standard radial fashion with a myringotomy knife. There was immediate return of mucoid fluid that was suctioned free. An Armstrong beveled grommet tube was placed in the myringotomy and positioned appropriately using alligator forceps and Rosen Needle. The same procedure was performed bilaterally. You have to code the insertion AND the removal. We need to determine the body part. Is the physician draining the middle ear or the Eustachian tube or tympanic membrane? What is happening here is existing tubes were not functioning properly (blocked) so they were removed...the hole left by the removal will close spontaneously. New tubes were placed in a different location requiring a myringotomy incision and placement of tubes within the new incisions bilaterally. There you have it, some General Surgery Pearls. Tune in for our next blog!